We will collect your email address when you subscribe to receive email updates on the Site by submitting your email address. You also may submit comments to the blog on the Site or through the contact mechanism on the Site. We generally do not encourage the submission of any personal information in these comments or through the contact mechanism other than what we expressly require (e.g., name and email address). Information you disclose in the comments becomes public information and you should exercise caution when deciding to disclose your information in a submission. We want to keep your name and email address accurate. You can correct or update your name or email address that you have provided us. 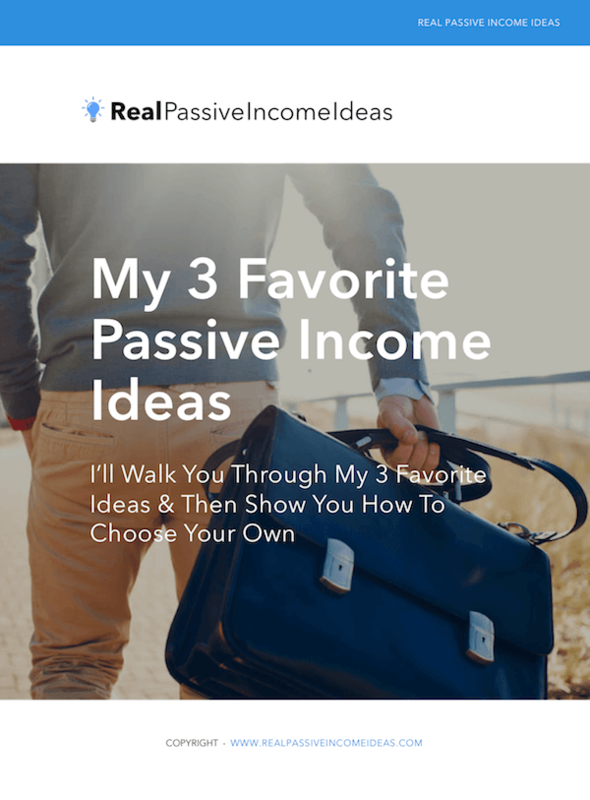 You may contact us at info (AT) realpassiveincomeideas.com to request such change. The Site may allow you to choose to receive or stop receiving communications from us. You can prevent further use of your name or email address by contacting us at info (AT) realpassiveincomeideas.com. The Site is not intended for use by children under the age of 13. We will not knowingly collect personal information from them. If we discover that a child has provided us with personal information, we will use reasonable efforts to delete this information. If you have reason to believe we may have accidentally received personal information from a child under the age of 13, please immediately contact us at info (AT) realpassiveincomeideas.com.